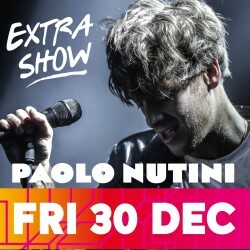 Extra Paolo Nutini show announced! Due to overwhelming demand and for the first time in the Festival’s history, a second concert in West Princes Street Gardens featuring Festival headliner Paolo Nutini will take place on Friday 30 December. This decision was made after Concert in the Gardens on the 31 December sold out in a record three hours.